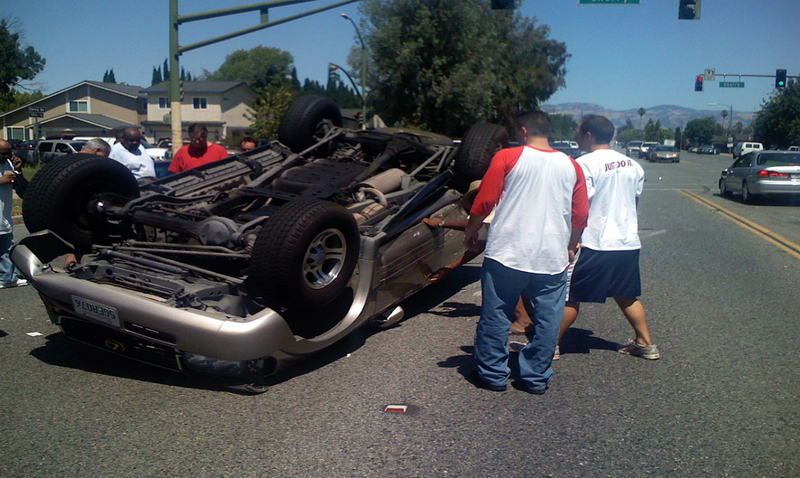 The first impulse of many people when they see an accident is to help people injured in the crash. But can you be sued for helping someone if they turn around later and say you injured them worse? The answer is maybe. In 2004 a lay woman (not a professional rescue worker) pulled another woman from a wrecked car, fearing the car was going to catch fire. The woman in the wrecked car became paralyzed, and she sued, saying her rescuer’s actions, not the crash, paralyzed her legs. The rescuer got sued anyway, and she got a summary judgment from Superior Court judge saying she was not liable for the woman’s paralysis. A California appellate court overturned the judge’s decision and allowed a lawsuit against the rescuer to proceed. The ruling stated that the word medical in the final sentence of the law conveyed that the law covers medical care only. The court decided moving a crash victim to safety is not medical care. The California Supreme Court upheld the ruling on appeal in 2008, and this left good Samaritans in California without the very strong protection that the law had once afforded them. This meant that any good Samaritans, if they were even aware of the change in California law, would have to decide if the aid they were about to render was medical or non-medical. This law applied to and was meant to protect non-emergency workers, lay people who come on the accident scene first. The California Legislature decided to revisit the law and renew protections for good Samaritans by adding in protections for rendering medical and non-medical care to the law. 1799.102. (a) No person who in good faith, and not for compensation, renders emergency medical or non-medical care at the scene of an emergency shall be liable for any civil damages resulting from any act or omission. The scene of an emergency shall not include emergency departments and other places where medical care is usually offered. This subdivision applies only to the medical, law enforcement, and emergency personnel specified in this chapter. And that leaves a lot of leeway for crash victims to sue people who are good enough to render them aid. If you are ever among the first to come upon an accident on California roads (and all states have some form of a good Samartian law), examine your conscience as to whether you want to render aid to a victim. The law does afford good Samaritans protections as long as they don’t act with gross negligence or willful or wanton misconduct. One good way to help a wrecked motorist is to immediately call 911 with the location of the crash. You can’t get in any trouble for reporting an accident to the police. 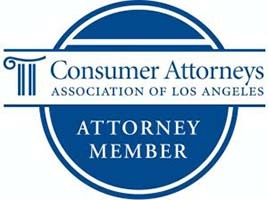 Krasney Law posted a blog a while back about what you should do if you get involved in an accident yourself. Check on drivers, passengers and pedestrians involved. Summon an ambulance if needed. Don’t move anyone who is unconscious or reports neck or back pain. Leave that to the professionals. When you approach the other drivers, be cooperative and courteous, but do not apologize or admit to, for example, violating right of way or running a red light. Ask all the drivers for their names, drivers’ license numbers, telephone and address. Take down license plates and insurance information from every driver involved. Also get passengers’ names, addresses and phone numbers. If there are witnesses, write down their version of what happened and their information too. Photograph your car. And keep records of doctors’ visits, treatments and medications, and note down any time you lost at work. 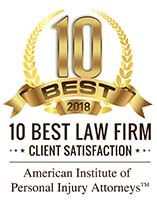 If you or anyone else is injured in a wreck, the best course is to contact your Inland Empire auto-accident attorneys at Krasney Law, (909) 380-7200. We will charge you nothing for an initial consultation, and we may arrange payment on a contingency basis. That is, we don’t get paid unless you accept a settlement or we go to trial. Previous Post: How are Damages decided in a Personal Injury Case?